Ireland, also known as the Republic of Ireland, is a sovereign state in North-Western Europe occupying about five-sixths of the island of Ireland. The capital and largest city is Dublin, which is located on the eastern part of the island. The country's population is around 4.78 million. 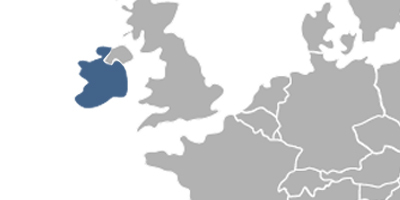 The state shares its only land border with Northern Ireland, a part of the United Kingdom. Fees associated with registration of IP rights in Ireland are available in the fee calculator.